A university degree in computer science is no longer enough to secure a job in Malaysia. Employers in Malaysia are looking for individuals with multiple skill sets. Employers today expect their employees to be able to multitask and communicate well in the English language. With 3 credits in SPM or O-Levels including Maths, students may go for the 2-year Diploma in Information Technology, Diploma in Computer Studies or Diploma in Software Engineering and then enter into Year 2 of the Computer Science degree. Pre-University students with the relevant results in STPM, A-Levels, SAM, CPU, AUSMAT, etc. can enter directly into Year 1 of the Computer Science or Software Engineering degree at the best university in Malaysia. universities for students to choose from, it is important for the student to be able to choose a university that best fits his or her needs – financially, quality, educationally and career. 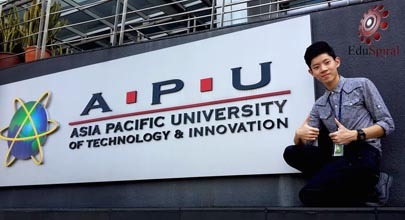 Learn how to become a computer science professional in Malaysia by talking to knowledgeable & experienced counselors and then choosing the best private university for your degree studies. Research the education and career requirements, training and certification information and experience needed to be successful in your future career in computer science in Malaysia. What is the Difference Between Studying Computer Science and Software Engineering in Malaysia? Software Engineering is the field of studying, devising and building a practical solution to a problem. The objective of a software engineer is to understand a problem within a computer and create software that eases the problem. Computer Science is a field that deals with the scientific and practical approach to computing and all of its applications. A computer scientist focuses on the theory of computation and its applications. The popularity of computers & technology has resulted in greater interest in computer-based courses in Malaysia. These include dividing the computer into hardware, software, programming and many other fields. These courses divide the many different aspects that make a computer. Software Engineering (SE) and Computer Science (CS) are two different fields that are used in computing. Many people that even perform jobs in Software Engineering field often possess Computer Science degrees. Because of such instances, many students are confused about Computer Science and Software Engineering. objective of a software engineer is to understand a problem within a computer and create software that eases the problem. This could include either manipulating existing software or creating a new one from scratch. Software is required to make computer function. This job is mostly a team effort. Engineers group together with programmers in order to build a software that works with the system at hand. also quite different from each other. The programs represent a number of computing disciplines. (like other engineering disciplines) focuses on rigorous methods for designing and building things that reliably do what they’re supposed to do. Universities in Malaysia typically offer two computing majors: Computer Science and Software Engineering. There is a huge overlap between the subjects offered in these two majors. Even the career paths of these degrees overlap. Programmers, software developers and computer scientists all serve different roles in the technology industry, but there is much similarity regarding skill sets, and overall there is a lot of crossover between the various fields. The difference between the three roles really comes down to focus. All of these professionals can program computers, but programmers are focused on writing perfect, elegant code, whereas computer scientists are often more focused on theory, and software developers tend to be jacks of all trades with leadership skills who get placed in charge of software projects. How does Computer Science differ from Software Engineering? Computer Science concentrates on core concepts and technologies involved in programming a computer. It involves learning programming languages, databases, operating systems, graphics, robotics and other sophisticated technologies. A computer science graduate is proficient in designing and building software, developing computing solutions and innovating better approaches to addressing computing challenges. Finally, the coursework briefly explores software engineering subjects such as software development life-cycle and software product measurement. Software Engineering, on the other hand, focuses on designing and building large software systems. It teaches you to manage the whole software development life-cycle such as requirements gathering, software architecture, building prototypes, implementation, testing, deployment and maintenance. In addition to the software development process, this field concentrates on topics such as software team communication, and software product measurement, estimation and analysis. Software engineering does involve learning certain core computer science concepts and programming, but it does not explore it as much in depth as done in Computer Science.Computer science focuses more on the technical skills, algorithms and other core sciences. In contrast, customer satisfaction is the goal of software engineering. A software engineer must be able to develop software that adheres to the requirements of the customer. Can a Computer Science Graduate Work as a Software Engineer in Malaysia? Companies hire based on skill set. They do not specifically look for degrees in software engineering. Once hired, most companies start with the title of Software Engineer regardless of your major. It is also common place for computer science graduates to move into software engineering roles as they gain experience. A typical career path of a computer science graduate involves application development and innovation. In the industry, this translates to software product development. For this reason, programming and networking jobs is the domain of computer science graduates. In academia, computer science graduates work on innovations in computer science theory and algorithms. This involves advanced graduate work that typically leads to a Ph.D. degree. When a position requires development of large software systems, both computer science and software engineering graduates are potential candidates. Skill set and the amount of software engineering coursework undertaken during the program determines the suitability of the candidate. It is interesting to note that most of the software engineers today are computer science graduates and not software engineers. This is partly because software engineering is a relatively new degree compared to the computer science degrees that are available for more than 30 years.